These are a pair of beautiful handmade semi-precious stone and crystal earrings. They are green and yellow, hence the name LEMON and LIME! I have used beautiful bright green imperial crystal beads, small yellow swarovski crystal beads and clear swarovski crystals. 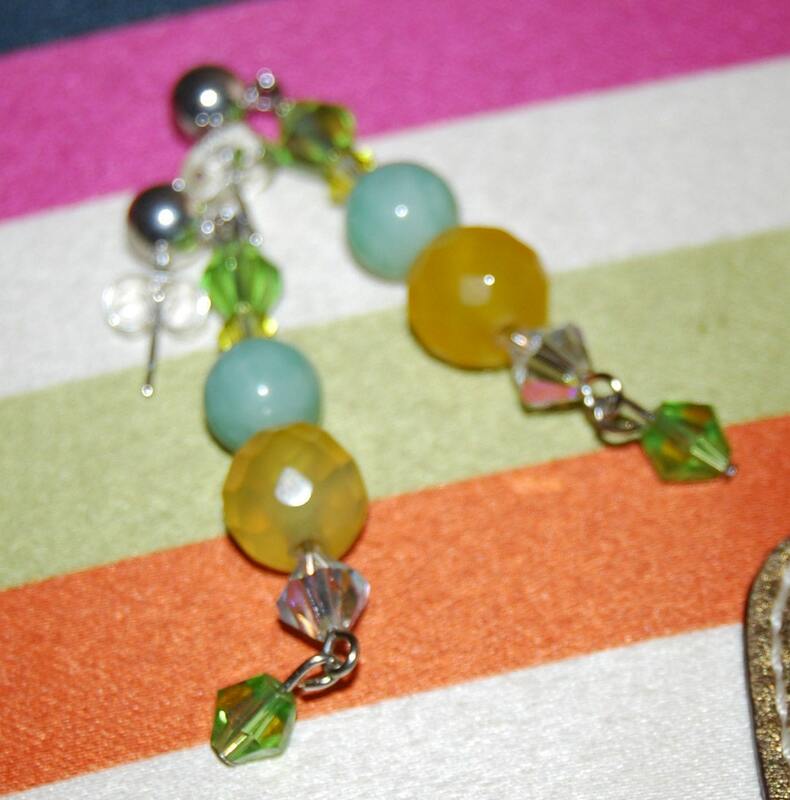 I have also used a green amazonite bead and a beautiful faceted yellow chalcedony.